3. Nonie’s love of Charlie, who betrayed her with Lola. Though Charlie betrayed her, he always loves Nonie, he just can’t crawl out from under manipulation by Lola because he learned it from his mother. This relationship has a lot to teach those who are so angry and unforgiving of affairs that happen. The story of an affair is often complicated. The characters are impeccably drawn and so are so three-dimensional, you close the book with all of them etched in your heart. It is the love of Lark and Termite that takes your breath away. Termite’s exquisite sense of listening means he knows her deeply and Lark knows through oh-so-careful attention how vibration and sounds make Termite happy. Lark is so clear in her knowing love, “someone might think he’s talking but he’s saying his version of the plates stacked against one another, the plastic chairs scraping, our footsteps, the wheels of his own chair turning as I push it inside.” There are lots of lovely descriptions of how they know and love each other through carefully paying attention. It is deeply moving to become a part of their love story through reading . Even the ending couldn’t be a more perfect, heroic action because of their love and the beginning of a new, fourth love story also starts at the same time. The ending was glorious and resonated deeply with me. I suspect it will stay with me for the rest of my life. This is what love is about, knowing and attending to each other deeply. There is so much surface valued in our culture, I find it frightening. Lust and attraction are an important part of loving which this book is also about. There is a depth to love that so many young people miss out on because they’re like cows grazing in a field. Depth of love and attention requires time, authenticity and risking profound connection instead of running away from the possibility. How poignant – this post. You put into words something I’ve felt but never realized why. How good it feels for someone to pay such close attention that they know you deeply – and they “get” you “right.” Or, why it stings when someone that should know you deeply gets it wrong. I have to read the book! Great read. I’ve often felt at times the vulnerability one could get when on the verge of love. Thats what I think makes it so special, taking that leap of faith and having two souls become one. I am searching article related to termite treatment, but fortunately found this useful article. 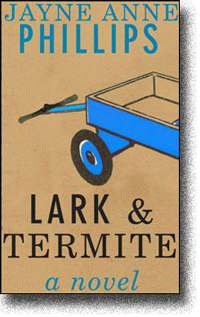 Thanks for your recommendation about Lark and Termite. I love it.